Janesville Community Radio interviewed Dr. Hilst for a full hour. 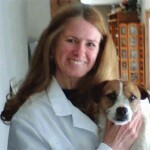 Today’s show has Dr. Katie Hilst, a veterinarian that specializes in home euthanasia. We will discuss the emotions and why in-home vs. vet euthanasia is better and vice versa. Interview starts at about 4 minutes into the broadcast. Why is it important to look for members of PLPA? Do I need to be in the room? What are my options – burial, ashes.